Are you looking for the best selling items on Konga? Here you have it at the Konga best seller week. 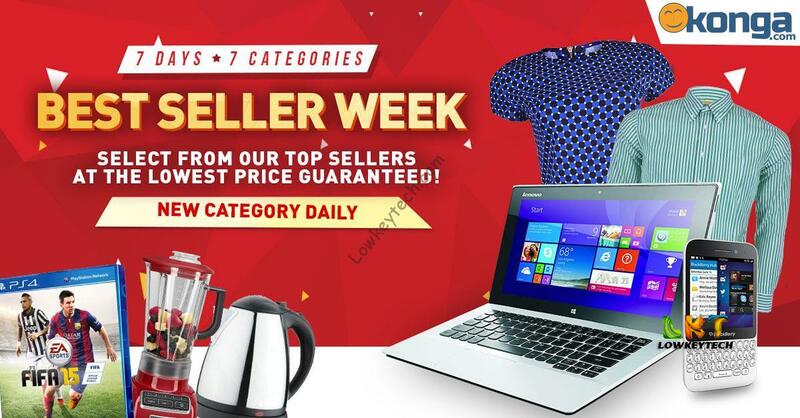 Konga is dedicating this entire week to sell only the best products across categories and at best prices.Because you deserve nothing but the very best, Konga is dedicating this entire week to selling only the best products across categories and at best prices too. Shop the best of fashion, phones, computers, home gadgets, kitchenware and so much more. This week Konga is certainly the place for you to be! Starting from Monday the 15th till Friday the 19th, Konga have been unveiling the Best Selling itemsand brands across different categories – one new category per day. But guess what? It gets even better than that! For this week, these items will be selling at unbeatable prices. Check konga.com for the best sellers today with discounts of up to 40% off featured items. Free shipping also applies on select products so grab your carts and start shopping. It’s guaranteed that you won’t find them at lower prices anywhere else! !